I photographed my first wedding in 2007. At that time, stories of photographers who canceled or otherwise flaked out on a clients were rare. They were the hushed whispers of legend. Campfire tales and ghost stories. I have a friend who heard from a friend kind of stuff. The mere thought of a photographer backing out of a contract was, frankly, inconceivable. Today? Such a thing is not just commonplace, but nearly an epidemic. As I write this, I have been contacted just this year alone by a number of panicked couples. They thought they hired a “professional” photographer. Someone they could trust. But that “professional” has canceled on them. Either by giving notice, or simply dropping off the face of the Earth. Wedding photography looks like such an easy and fun career. You show up on someone’s best day ever. You take a bunch of awesome photos. You become an Instagram rock star. So believe me, I get the appeal. All you need is a camera. 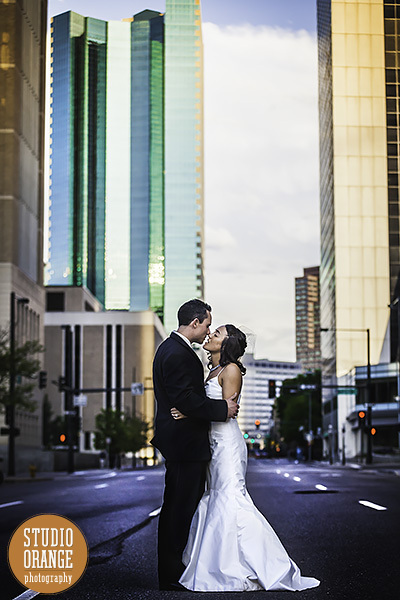 Some days it feels like I know more people calling themselves wedding photographers than not. And unfortunately, a lot of people jumping into this industry wind up in way over their heads. This problem is most prevalent at the lower price end of wedding photography, where it hurts the people with the tightest budgets. I do not envy the task of a couple looking to hire a photographer these days. Now, before I go any further, I want to stress that the point of this blog post is not to bag on lower cost photographers. A lot of the people in the lower tier pricing are merely inexperienced. Their pricing reflects that, as it should. I get it. I was there when I started out, too. And there are plenty of wedding photographers early in their careers who take this job seriously. They work with contracts, and wouldn’t dream of cancelling on a client. But they tend to be mingled with those who view their agreements with couples as optional. As something to uphold if it’s convenient, to walk away from when it’s not. Those struggling to be taken seriously are trying to shove their way through a crowd of those treating wedding photography more like a lucrative hobby than a serious business endeavor. I’m sure that almost all of the people who cancel on their clients had the best intentions. They entered into their agreements gung ho and ready to go. But best intentions don’t really count for much when two months before a wedding a panicked couple has to scramble to find a replacement photographer. The thing is, there’s a side to wedding photography that isn’t so readily apparent. This business isn’t always conducive to a normal social life. We work the days our friends and families normally have off from regular work hours. Being hired to shoot weddings means I’ve missed birthday parties, family reunions, the weddings of my own friends. Sure, some types of photo sessions, like engagement or portrait shoots, can be flexible if necessary. But a wedding date is all but chiseled in stone. The years I’ve been in business, the idea of missing a wedding has never crossed my mind. I’ve sucked down DayQuil and shot through a flu. I’ve inhaled pain pills on the final day of Friday-Saturday-Sunday marathon of weddings. There is no such thing as a “sick day” for an event that cannot be rescheduled. I’m not a superman for doing this. I’m not asking for a pat on the back. And I know of many other professional wedding photographers who have sacrificed or worked through just as much. Because this is our job. I do understand how difficult, even frustrating it can be when a best friend calls to announce their wedding on a date already booked. Even so, I have zero sympathy if the response is to bail on a contract with a client. When money has exchanged hands, there is an obligation to follow through. This is the commitment we make. As far as I’m concerned, when my clients sign a contract and give me a deposit, they own me on that day. I’ll have to be in a hospital bed before I’d miss it. And when you are spending your money, be it $500 or $5000 on a wedding photographer, it is not unreasonable for you to expect that level of commitment. So how do you hire a professional wedding photographer? How do you protect yourself from The Flaky Photographer? Make sure your photographer has contract. This is the big one. If there’s no contract, RUN! I don’t care how much you like their photos. I don’t care how much they are within your budget. I don’t care how much you like THEM. A lack of contract is an irrefutable deal breaker. Also, make sure their contract actually says what happens if they have to cancel on you. I mean, even I can’t guarantee that I won’t get hit by a bus. At the very least, the contract should agree to refund your money. Or make sure to provide (at no cost to you) a replacement photographer. Finally, ask them if they’ve ever had to cancel on a client before. If the answer is yes, what was the reason and how did they handled it? 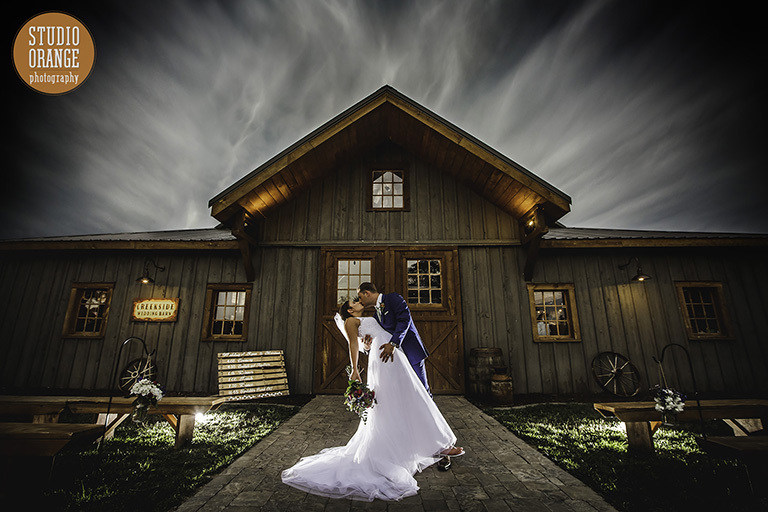 Ask how long they’ve been doing wedding photography professionally. At the lower price points they probably haven’t been doing it very long. That’s not necessarily a deal breaker. Ask if they plan to make this their full time job, or if it’s just a side thing. There’s no right or wrong answer. Really you want to make sure they seem passionate and serious, regardless. If they seem a little too casual about the job, maybe you should walk away. Find out if they are willing to let you speak with past clients. Again, if you’re considering someone fairly new, this might be tricky. There simply may not be many past clients for you to talk to. But if you can talk to at least one, it will help give you the peace of mind that they actually have followed through with a contract before. If they seem hesitant about this, it should be a huge red flag. Talk to your other vendors (reception space, DJ, etc.). Ask if they have heard of the photographer or ever worked with them. If you are going with outside help to plan and coordinate your wedding, such as a company like Event Design, they can be an excellent resource for steering you toward a reliable photographer (as well as other vendors). Other vendors not having worked with your photographer might not be a big deal. Being unwilling to talk about them or saying negative things could signal a problem. If you feel uneasy about the photographer at all, don’t be afraid to walk away. It doesn’t matter if the price is right. It doesn’t matter if the photos are great. If your gut tells you they might be flaky, then trust it. It’s better to locate another photographer, rather than go with someone you’re uneasy about. As long as you’re planning far enough from your date, you’ll have plenty of options. But if you get left hanging out to dry close to your date? That’s when it’ll be tough to find a replacement. Maybe unsatisfactory answers to any one of the above might not be a strong enough red flag against the wedding photographer you want ot hire. (Except the no contract — if they don’t have a contract, don’t even think about it). But if several or all of these add up? It’s really not worth it for you to risk it. As I’ve said above, and I can’t stress it enough, this is a saturated market. As long as you’re planning ahead, you will be able to find plenty of photographers to choose from. Look, if you’re reading this, I’m not going to lie. I hope you’re considering Studio Orange to photograph your wedding. But even if I’m way out of your budget, I don’t want to see you get burned by someone you put your trust in. Your big day is too important for that. In conclusion, would say that most of us photographers are generally and genuinely honest and enthusiastic. Most of us are professional. But there are some who seem to be causing some real problems for couples, and they give the rest of us a bad name in the process. Some diligence on your part will help to keep you safe. It will give you a much better chance of making sure the memories of your wedding are preserved. This entry was posted in Tips | Bookmark the permalink.